Regular readers of this blog will know that we have something of an obsession with customer service. At first glance, it might not seem obvious why a technology market blog might be so preoccupied with this. Except, as I have written many times, customer service is based on what I have come to call my first law of competitive differentiation, the proposition that, in an age when almost any technological or cost advantage will rapidly and inevitably be eroded, the only sustainable competitive differentiation for most companies is to treat their customers like the centre of the universe, which they are. Based on recent experience, I have to say there’s nothing quite like doing a major round of house renovations to expose the good, the bad and the carpet layers of customer service. We relied on word-of-mouth recommendations for the painter, floor refinisher and electrician we needed and all were exceptional. The painter was cheerful, hard working and excellent at his trade. Just this week, after my lousy amateur bathtub-sealing job caused water to leak down and curdle the fresh paint on the kitchen ceiling below, he popped over during breaks in another job to effect some emergency repairs. We actually vacated our house while the floor guys were stripping and refinishing the hardwood floors. I could drive past the house at 9 at night and they’d still be hard at it, putting in a 13th and 14th hour so we could move back in on schedule. The electricians came and did all they had to do while I was out of town. It was all done exactly as requested. Then, I discovered some badly stripped wiring behind a light fixture I was changing. I left a message over the long weekend, the guys showed up first thing Tuesday morning, fully repaired the fire-hazard fixture and installed the new light, and didn’t charge me anything for this extra bit of work. Granted, all these tradespeople were well paid for their work and I got fair value for the money I paid. It was their universally sunny outlook, genuine care for our home and our well-being, and their willingness to always go the extra bit that really made them stand out. Now, let me tell you about the carpet layer. The persistent aromatic and multi-chromatic reminders of pets past and present dictated that we replace the carpet in the one room that doesn’t have hardwood. So I trundled off to a store in the east end that specializes in smaller carpeting jobs. The over-the-top aggression of the sales guy probably should have made me turn around but I was on a tight schedule. So I accepted his, “We have a $200 minimum” to lay the carpet, made my selection and agreed he’d show up at 6 that evening. “And it’s cash only,” he told me. At that, the guy practically blew up, telling me I had no business telling him how much he could earn per hour. Fine, I said. Leave the carpet; I’ll get someone else to install it. In the end, he installed the carpet for the agreed-upon $200, and did a pretty good job. To his credit, he did some extra tacking and pinning where the under-pad was poor and, had it not been for his shabby shakedown act and unwarranted aggression, I’d have cheerfully put him in the same category as the rest of the tradespeople with whom we dealt. I also needed the house pressure cleaned. I called two services. I called one of them three times to try to get a quote. The other guy, who could not come by to look at the house until the Friday before the long weekend, showed up when he said he would and called me the next day to give me a quote. It was a lot, but fair. I told him I needed the job done the following week, a short week given the Monday holiday. He said he’d try to move things around to accommodate me. He called back a few hours later and said he couldn’t shift any of his other jobs but that he would come by on Sunday — of a long weekend! — and take care of it. He did, and didn’t charge me anything extra. As he was finishing up, he asked me what kind of work I did. I told him I was a marketing strategist. He said he didn’t do much marketing because he didn’t really understand what it was all about. “You’re dead wrong,” I told him. “You just did the very best kind of marketing possible. 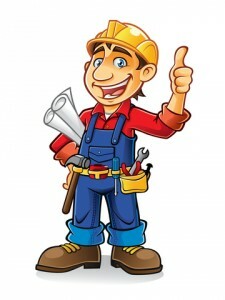 You delivered a truly superior customer service experience that will have me singing your praises for years to come.” And I made a point of getting his card so I could pass it on to the person who recommended all the other great tradespeople so she could add it to her list of suppliers who can truly be relied upon. It’s a tough, competitive, price- and quality-sensitive world out there, people. Customers are rare and valuable creatures. It is simply not enough that you have the best product, or even that you have it at the best price. If you don’t treat your customers as the very special people that they are, taking the opportunity to deliver a phenomenal customer experience, you forego the most powerful marketing tool there is.